It's been a while since I've watched a GOOD Nollywood movie and this one is with actresses and actors that I actually like lol. 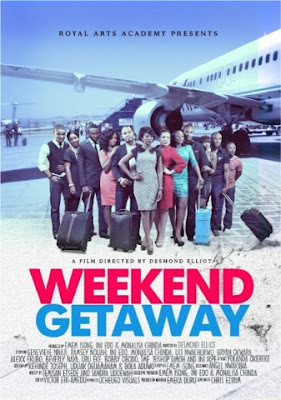 Actor Desmond Elliot brings together Genevieve Nnaji, Ramsey Nouah, Ini Edo, Uti Nwachukwu, and so much more for this new all-star lineup movie 'Weekend Getaway'. With the movie private screening happening in Nigeria on Sunday March 24, 2013 and the movie being premiered in cinemas in Nigeria and across the rest of Africa on Friday March 29, 2013. Until then, enjoy the trailer below.